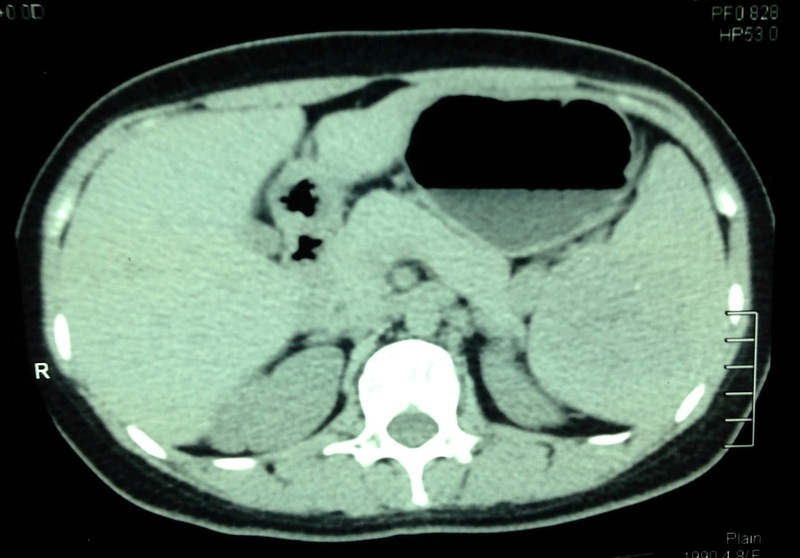 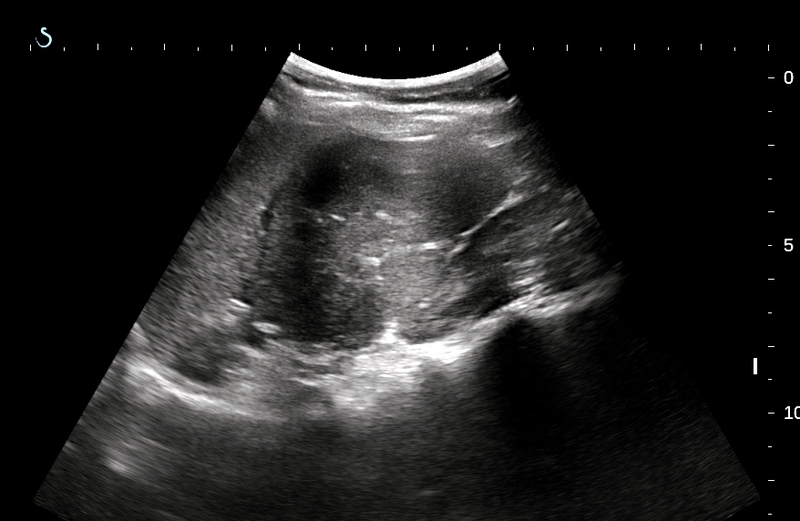 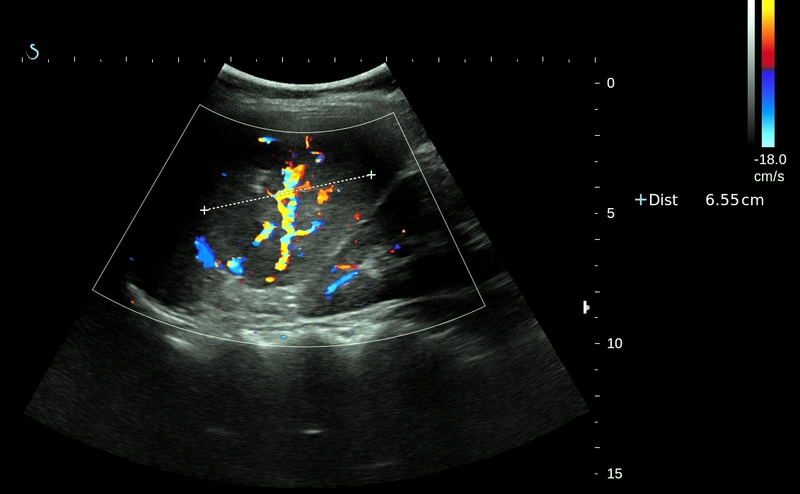 US 1= longitudinal scan of this mass size of 6.0cm at lower pole of spleen, hypoechoic, well bordered. 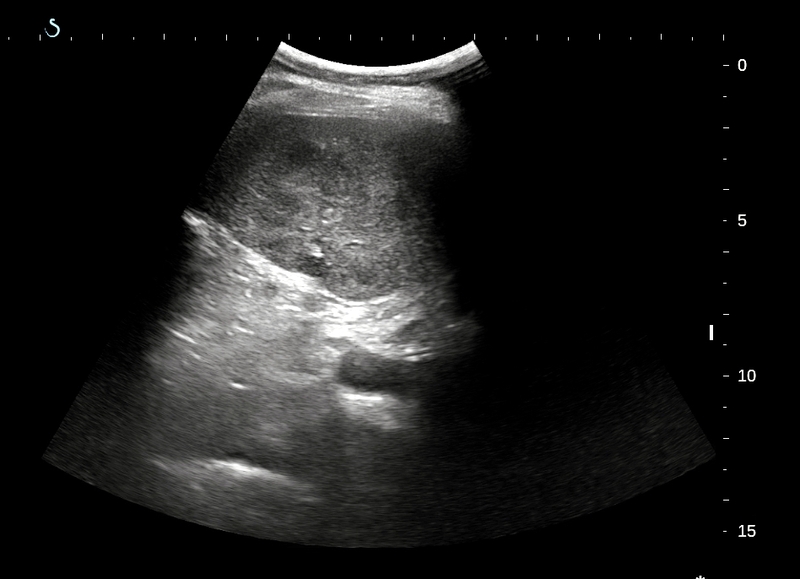 US 2=cross-sectional view of mass. 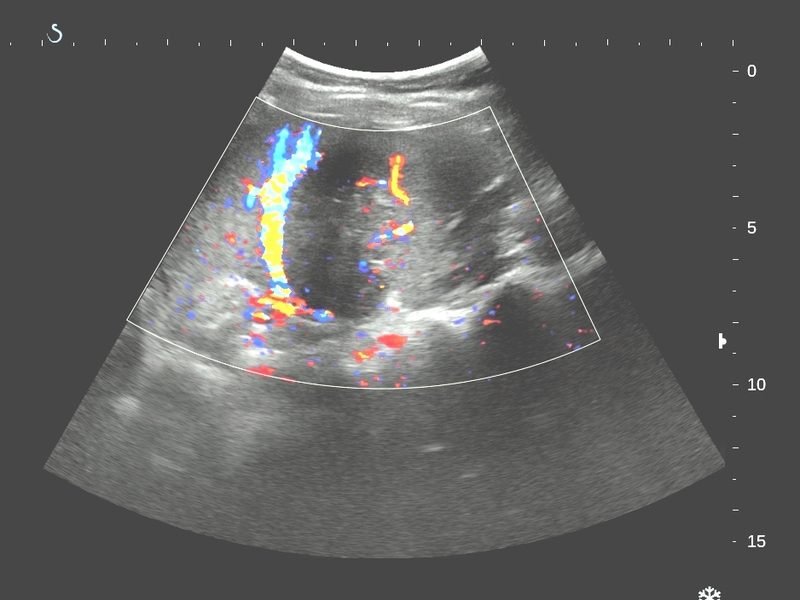 US 3=CDI of this mass with vascular bending sign and, ( US 4) structure inside hypervascular. 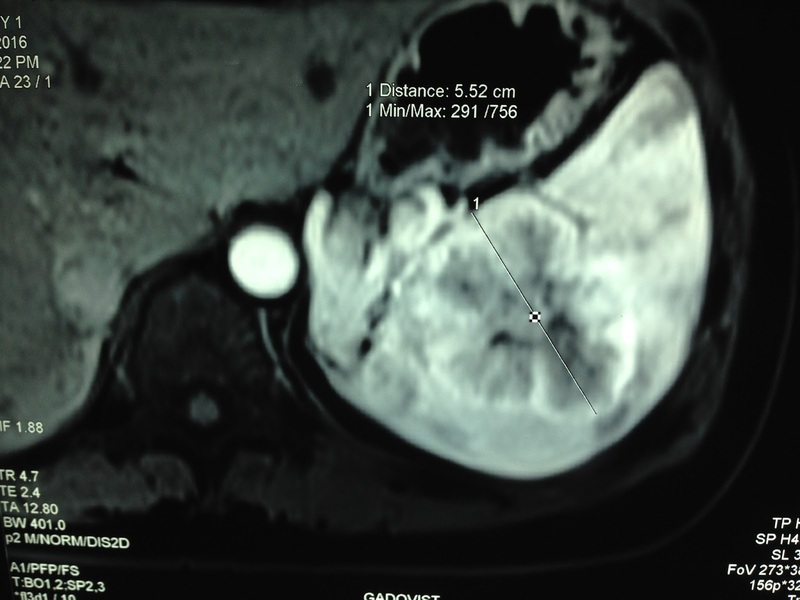 CT with CE:CT 1 non CE , CT2 CE, delay phase with central mass lower perfusion. 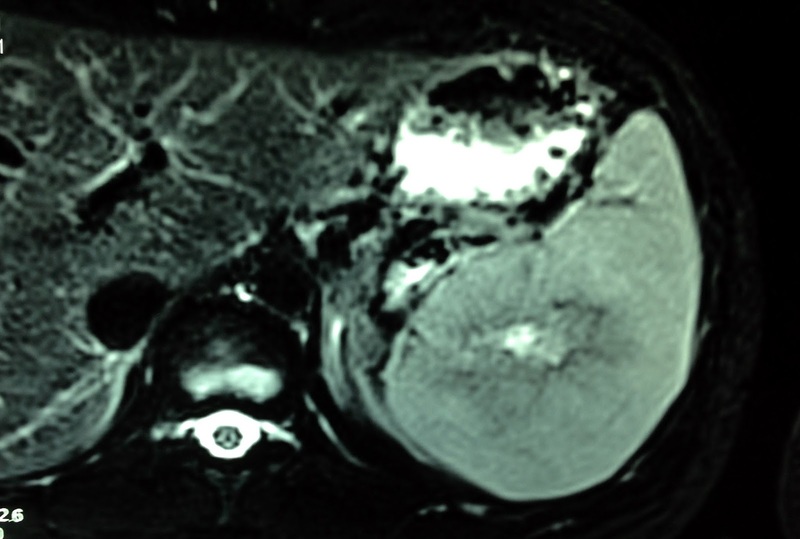 MRI with gado: this tumor is well bordered, peripheral enhanced and central hypoperfusion at the late phase. 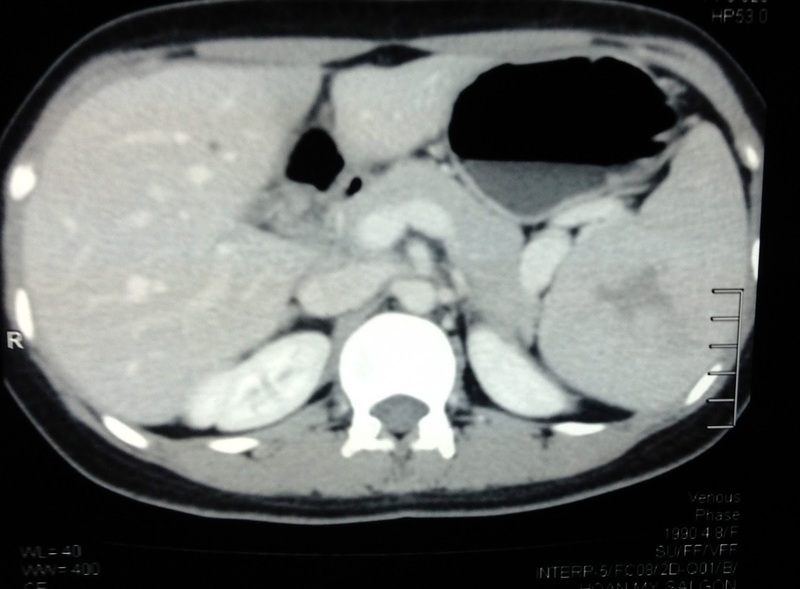 LAPAROSCOPY FOR SPLENECTOMY . 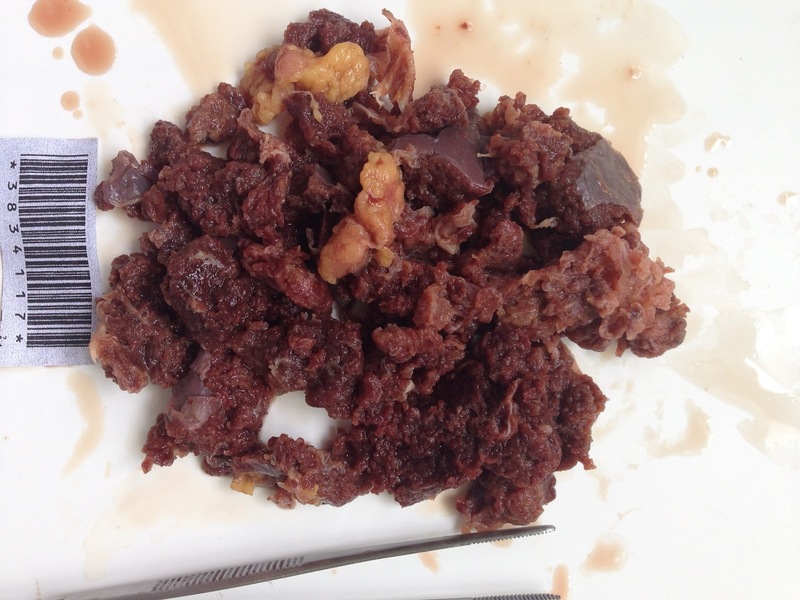 SURGEON REPORTED THIS TUMOR IS INTRA SPLEEN AND ITS COLOR LOOKS LIKE SPLEEN TISSUE ( SEE SPECIMEN).HE SAID IT MAY BE HEMANGIOMA. 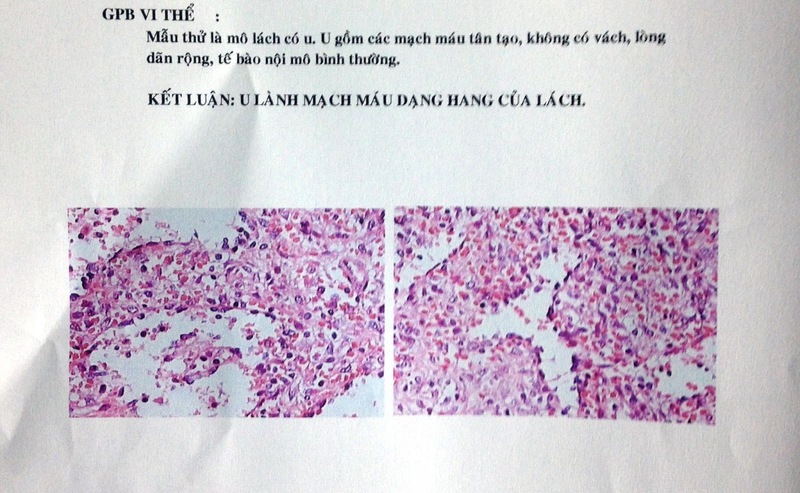 MICROSCOPIC REPORT IS CAVERNEOUS HEMANGIOMA.